Tips+ is a free Windows 8 tips app available under “books & reference” category of its App Store. 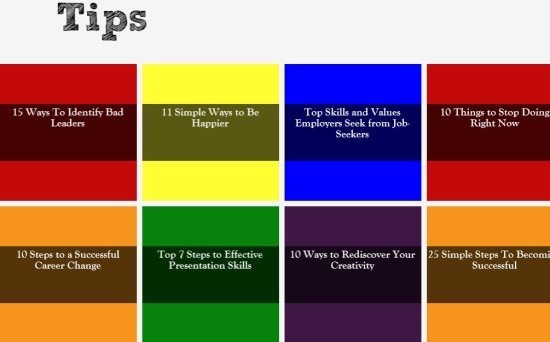 This tips app for Windows 8 is a simple app that provides multiple tips for life. 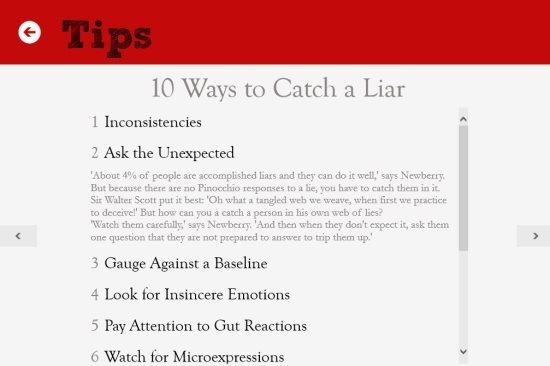 You can easily get the ways to identify bad leaders, simple ways to be happier, top skills and valuable employers seek from job-seekers, things to stop doing right now, ways to catch a liar, and much more. Just select any of the one topics and get tips & advice on the same. Selecting a topic gives you tips in number points. You can easily get additional details by clicking on the tip you are reading. This helps you better understand a tip you are reading. Well, by now you must have clearly understood about what this tips Windows 8 app basically does and where it can be really used. Moreover, the user interface of this Windows 8 tips app is pretty nice and simple to use. It even provides you the feature to share the tips of a particular topic via Facebook. You can easily post the tips as your status update which your friends and others can easily view and read. How This Windows 8 Tips App Can Benefit You? As I already said that this Tips+ Windows 8 app provides you tips and advice for life. The tips provided by the app are really very useful to spend a happy and successful life. I am not denying the fact that it is so easy to follow each and every tip or advise. But, it can make your life a wonderful one if you follow at least 50% of it. I am really impressed when I installed and started using this wonderful and light-weight app on my Windows 8 PC. Also, check out our posts on Questions App. Get multiple tips and advise for life on your Windows 8 PC. Get more details about a tip by clicking on it. Share the tips and advice via Facebook. To download and install Tips+ app, just open your Windows 8 App Store. Now, search for “Tips+” app. Click on install button and start enjoying the app. Tips+ app makes your life easy and wonderful if you follow the tips and advise. It gives you all the tips which are really important to spend a good life. I like the feature of displaying the detailed information by clicking on any tip or advise. Also, I like the beautiful interface of the app. In short, I like everything about this Windows 8 tips app.